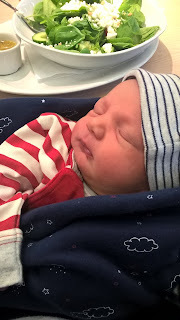 Throughout my pregnancy I posted a weekly pregnancy update on a Monday, so now that pregnancy is over for me (sob, sob) it seems only natural that I introduce a regular baby update feature. 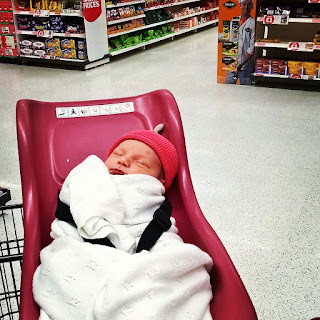 I've decided to publish these on a Thursday, as Quinn was born on a Thursday, to correspond with each week of her development - so Monday's will just go back to being a normal blogging day with varied content. If you follow me on Twitter you're probably fed up already with Quinn updates! But first things first I want to talk about Seb. 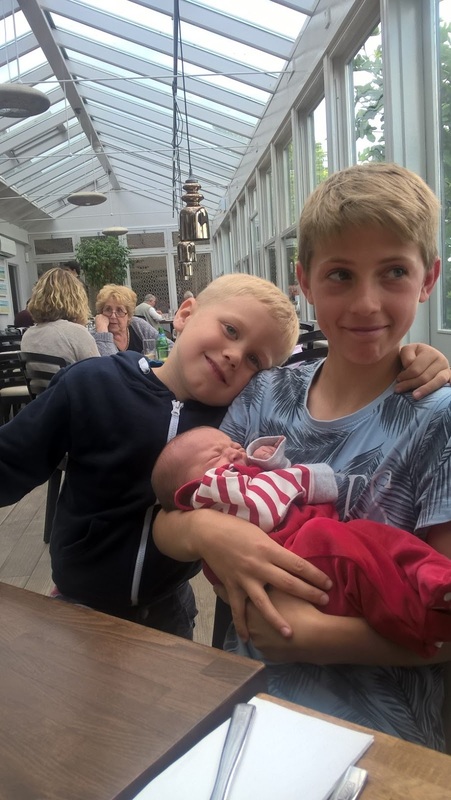 At 5 and a half, I always worried how Seb would handle being present at his sister's birth - if things panned out that way. If you read my (rather lengthy) birth story, you'll know that things did pan out that way - with Quinn arriving at 7:27am before any childcare arrangements were necessarily available (or, in fact, needed). After Seb handled Quinn's birth like an absolute pro, the next worry was whether it had left any lingering trauma, and of course, how he'd adjust to life with a baby sister. My heart explodes all over the place with pride to say that he has completely taken it in his stride - in true laid-back Seb style. He is so adorably loving towards his sister that other than a short spell of declaring that Quinn was a boy's name, he has been overcome with affection towards her. Quinn is especially soothed by Seb's voice, and will happily listen to him jabbering on to her without an utterance of complaint (very few people can manage this!) - and I suspect it's because his would be one of the most familiar voices to her from her time spent listening to the world outside from in the womb. I have no doubt, watching them together now, that they'll have a beautiful bond growing up, which I couldn't be happier about. Seb is a very loving, affectionate, tactile child anyway, he likes to hug and kiss and be held - so a baby makes for a pretty good companion as far as he is concerned - it's going to be fascinating to watch their relationship develop as Quinn grows. Today Seb received an Octonauts play set from Quinn and I to say thank you for a week of brilliant brother-ing - which seems to have gone down very well indeed! So back to Quinn, if you haven't already read her birth story then check it out as she made quite an interesting entrance in to the world, and as I finished that post I explained that I felt so healthy and energetic after delivering her, that we headed to a new local restaurant that night with her in her Papoozle sling. I'd love to say that we took the rest of the week a little slower but unfortunately that would be utter nonsense, we did no such thing. Friday morning, 24 hours after Quinn's arrival, we had to take Seb to school for his last day of his reception year (more about that in another post) - so of course I took Quinn on to the playground to (show her off) introduce her to my school-gate friends. So many of the Mum's at the school had jokingly asked me to try to give birth before the last day of term so that they could see the baby before the beginning of the Summer holidays - so it was fun to be able to honour their request in the nick of time! Boyfriend and I had agreed that he would return to work on the Friday just for one day to tie up a few loose ends before taking this week off to spend with Quinn, Seb and me. So after the school run I had a few hours with Quinn all to myself to just bask in her loveliness - it was heaven! But then in the afternoon we had to be up at the hospital for her paediatric check up. 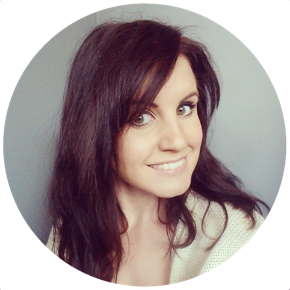 It's a quirk of homebirth that once you've successfully given birth in your home environment - you then need to make your way to a hospital; but the paediatric tests are key to diagnosing (or not) a range of potential problems. Thankfully, Quinn was given the all clear after a thorough examination, and I once again raised my suspicion that she had been born with a tongue-tie - which the paediatrician confirmed straight away. Whilst at the hospital I was also checked over by a midwife, who was as impressed as I am with the rate of my recovery. The fact that I had no discomfort what so ever "down below", even when peeing, was experiencing minimal blood loss, and felt active, energetic and pretty bouncy, all got a massive thumbs up. On Saturday (Day 2) Quinn made her soft play centre debut - poor thing. We'd already been invited to a friend's little boy's fourth birthday party at a local children's play centre and I'd really wanted to go along - as I'm breastfeeding I need to keep Quinn with me at the moment as she is fed on demand; so along she came. Seb was happy to go off independently and enjoy himself and Quinn slept through the entire thing - I even managed to drink a hot cup of tea and order myself (and eat) a bacon and brie panini. I also finally got to see my best friend Sushi on Saturday afternoon as we took both children over to her house for an hour and a cup of tea. Sush has been one of the most supportive people around me throughout my pregnancy and has been instrumental in helping out - even buying me the full range of natal hypnotherapy CD's as a pregnancy gift - which means she pretty much bought me my incredible birth. Quinn and I finally got a rest day on Sunday, when neither she, I, nor Seb changed out of our pyjamas all day. Boyfriend took his older two children surfing in the morning whilst Seb binge watched back-to-back Star Wars movies - it was just the lazy day that we all needed. We also finally decided on Quinn's name on Sunday - after almost four days of deliberating between various options. We'd almost entirely decided on Mabel - and she was a final agreement away from being named Mabel Rain Luther - before I stumbled across the name Quinn, and we simply knew that it was perfect. I'll be writing a post about naming our baby in the coming week. Day 4 - Quinn's first supermarket visit - those cradle seats really aren't that comfy feelin'! Quinn's Day 5 visit from the midwife resulted in us instantly being booked in for a discharge appointment as there are absolutely no concerns for either of us, and as such, no reason for us to remain under midwife lead care. Quinn had lost a little weight, dropping from her birth weight of 7lbs 15ozs, to 7lbs 9ozs - which is well within the "normal" range that raises no alarm what so ever. She also had her heel-prick test, a blood test to check for cystic fibrosis and allergies, from which we should soon get the results. The midwife was especially pleased with my recovery and Quinn's progress though, so, yay! On Tuesday evening we had the pleasure of returning to our homebirth support group in Ramsgate, where we'd initially gone to meet like minded expectant parents, and to gather tips and advice on preparing for our own homebirth experience. To go back with a tiny baby, born at home just five days earlier, left me full of pride. Quinn was one of four homebirthed babies at the meeting, with the Mummy of a fifth baby Skyping in to the meeting to share her own birth story too. It was interesting, and reassuring to hear other homebirth stories that were wildly different from mine, but equally as positive in their outcome - hearing women sound so empowered by their birth experience was wonderful. As baby life goes, things are going well. Reusable nappies are working really well for us, though we're still getting to find our groove with a good system, and I think it's simply a case that at the moment we don't have enough nappies, so we're having to put a wash on more regularly to make sure that we always have clean nappies available. I need to arrange to meet up with my friend Charlie - who's selling us her entire stash of cloth nappies now that her two boys are potty trained, at which point we will have more nappies than we'll know what to do with! 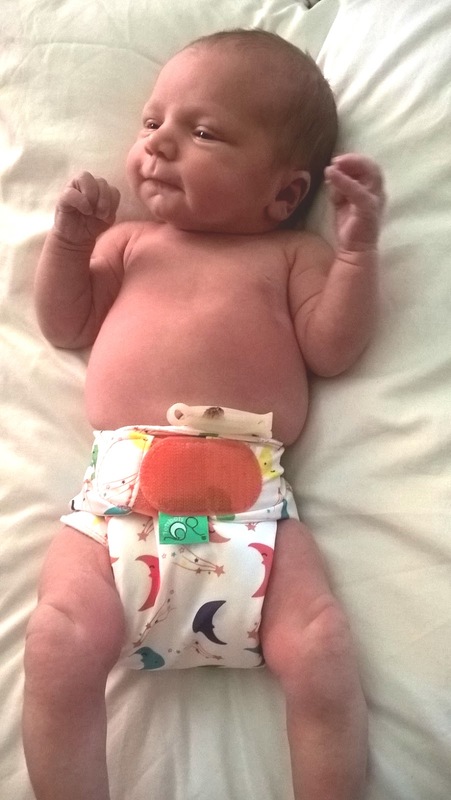 The lovely people at TotsBots, one of my absolute favourite baby brands (also responsible for our fabulous Papoozle baby carrier) sent Quinn two of their adorable TeenyFit nappies, in really fun, colourful prints, which are by far some of my favourite nappies to put on her little bottom. 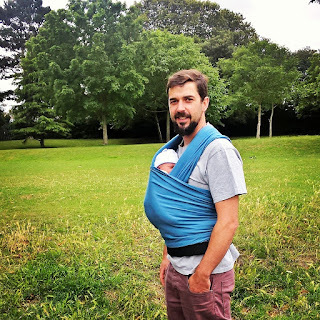 Again there's another post to come on these, but they're my go-to's at the moment along with Little Lamb bamboo nappies with a stretchy wrap. Quinn's sleeping so far has been pretty awesome to be honest, she can quite easily go 5-6 hours between feeds which, whilst not recommended by many - is working for us. Any longer than this I gently wake her for a feed, but even after a 5.5 hour sleep, she wakes alert, content and ready to feed - so I've got no concerns. The other night she went down at 10pm, woke for a feed at 3.30am, and then I found myself waking her at 8am after I'd had breakfast - I don't expect every night to be like it - but it's certainly keeping any sign of sleep deprivation at bay. Most people's response to seeing you with a small baby is "oh, I bet you're tired." - but for the most part - I'm not. Last night was probably the first night that she's had any serious trouble settling and I co-slept with her for most of the night to give her the comfort she was after, but ordinarily she sleeps in her Amby hammock beside my bed and loves it so on the sleeping front - I'm impressed so far! We've not taken our pram from the corner of the lounge at all, whilst Quinn has been out every day apart from Sunday, we've found babywearing a much more agreeable mode of baby transportation. I feel better holding her close, knowing that she has the comfort of either me or her Daddy close by, rather than being laid in a trolley and pushed about like a weekly shop. I expect the pushchair might come in to play next week when we get out and about on our own but I've loved experimenting with our Papoozle carrier - and Quinn simply loves being carried in it. 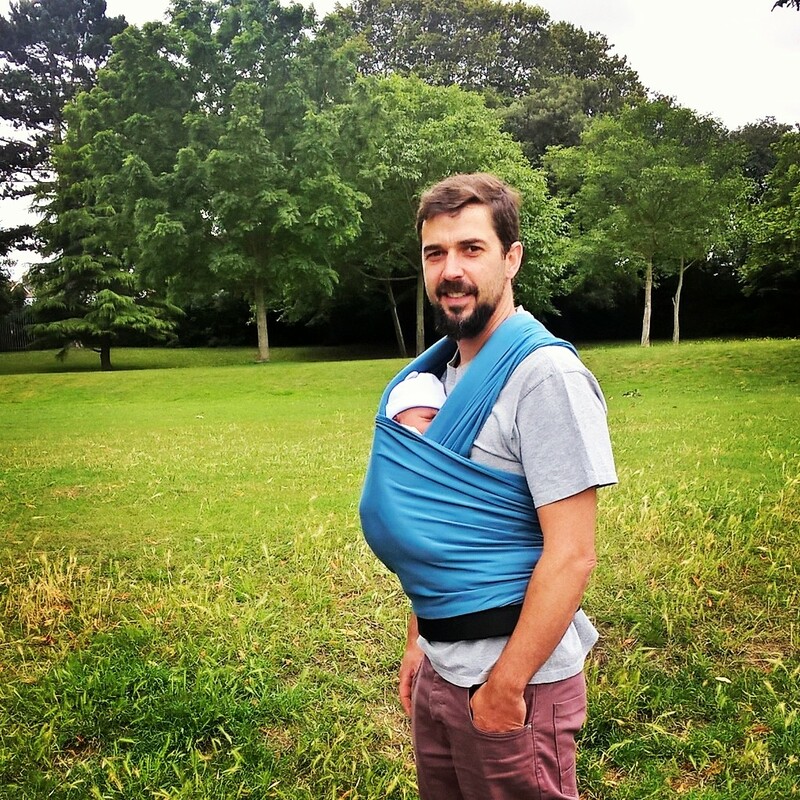 One of the ladies at our homebirth group has donated me her no-longer-required stretchy Kari-Me wrap sling too which I'm looking forward to trying out. All in all, a busy, but straight forward first week with baby. I couldn't be happier with the way that she's just slotted in to our lives. It seems crazy that we can be a week in to our daughter's life already; on the one hand it feels as though she's always been here, on the other - I feel as though it were only this morning that I was scooping her brand new body up off of my bedroom floor! I'm sure we have many challenges ahead, but for the time being, life here is harmonious, everyone is content and I am loving life with my daughter.